Great big cèpes! What fun! 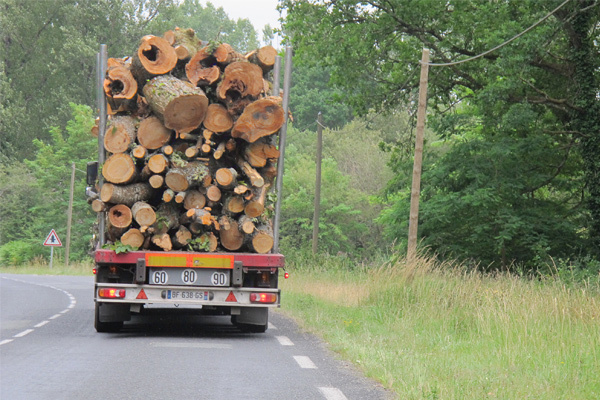 On the road home we followed this truck carrying a humungous stack of logs – overloaded would be an understatement. Back home the cops would be straight onto you if you attempted this kind of thing. 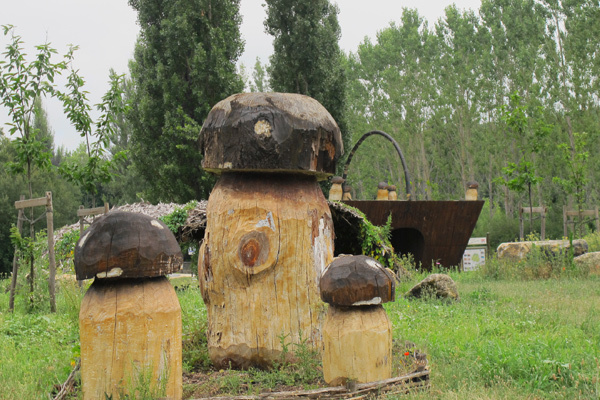 We decided to put plenty of time and space between it and us so we stopped at a roundabout featuring huge carved cèpes (mushrooms) and appropriately-sized basket. Queensland has its Big Pineapple, Coffs Harbour it’s Big Banana and there’s even a Big Mozzie somewhere, not forgetting Ballina with its Big Prawn. 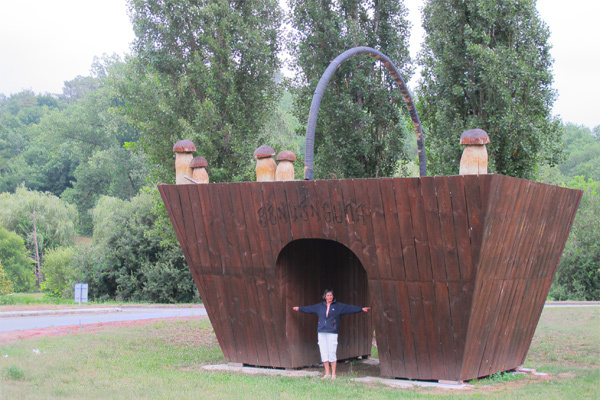 Well here in a Perigord valley we found the Big Mushroom Basket with its Big Mushrooms. So of course we had to stop and frolic amongst them and try to fit these massive things into our little cameras, feeling quite delicate and fairy-like in comparison. But the next day I couldn’t find my glasses anywhere. Major panic set in at the thought of seeing France for the next 5 months through blurry eyes. At least Tina had her spare set (after having lost her main pair in Isle sur La Sorgue). In our fractured ‘franglais’ we rang the grottes to see if they had dropped anywhere in one of the caves or near there- had they found them? 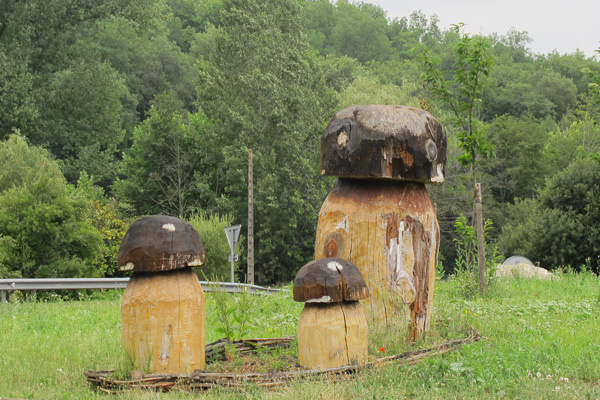 We drove the many kilometres back to the roundabout and its giant fungi, but no glasses anywhere. Diny even rang again in far more fluent French to ensure the staff knew it wasn’t just a pair of sunglasses and that I couldn’t read with out them. Still no sign or call back. I was ploughing along trying to finish blog posts for a few days feeling rather like a mouse on a treadmill when I picked up my backpack to find the glasses caught underneath in one of its straps. And yes I had emptied it out and been through all the pockets many times. They had cleverly just hidden underneath so even when it was picked up they went with the pack. That kind of stress we could do without! This entry was posted in Heather's musings and tagged lost, Lot, mushrooms, Perigord, rond-point, roundabout. Bookmark the permalink.